A mecca for underwater photographers. 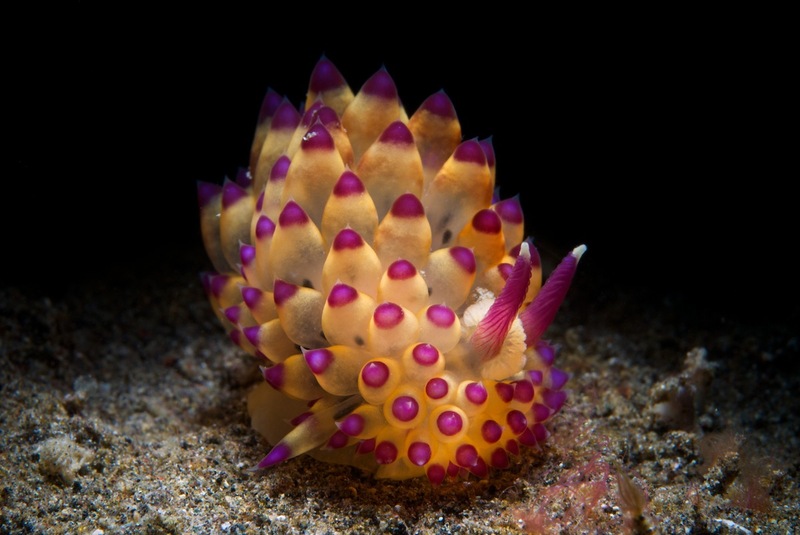 Lembeh Resort is the premiere destination for critter diving, muck diving, and underwater photography—especially macro photography and wide angle photography—in Lembeh Strait. 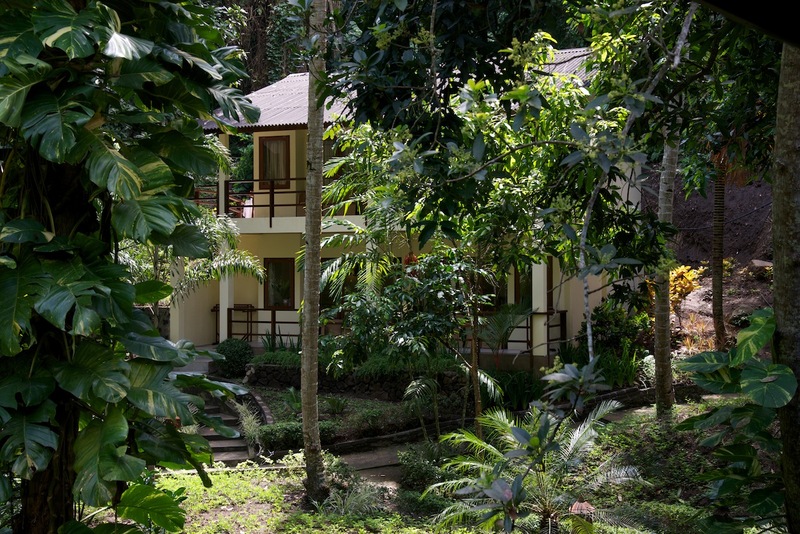 The spectacular boutique-style resort, situated on Lembeh Island and perched above the beautiful Lembeh Strait of northeast Sulawesi is surrounded by lush tropical gardens and blends perfectly into the landscape. 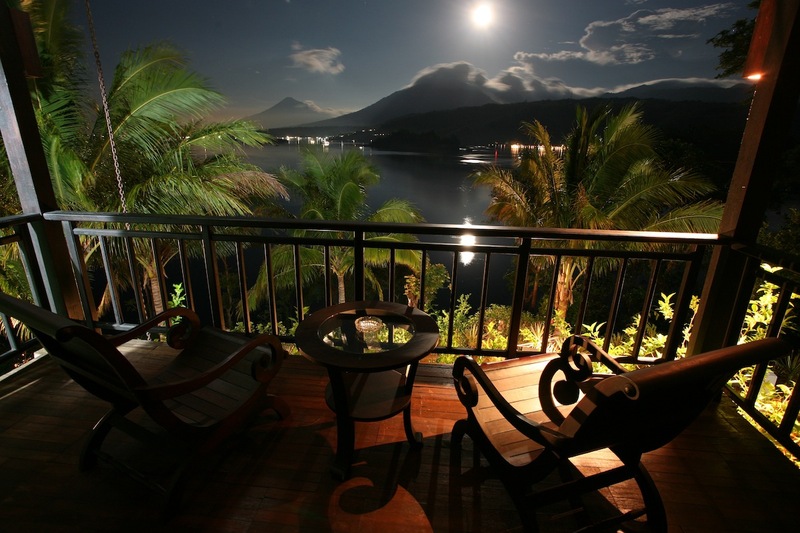 Guests of Lembeh Resort stay in one of two different Deluxe Cottage styles – Traditional Minahasan or Modern Cliffside – or the Garden View Rooms. All guest rooms include 24-hour electricity, en-suite bathroom with hot water, air-conditioning, king-size bed or twin beds, wardrobe, table and chair, dispenser for cold and hot drinking water, complimentary tea and coffee, mini-bar and electronic safe. Great views day or night. The very spacious Traditional Minahasan Cottages are fully detached and located along the front resort gardens, which are directly behind the waterline. 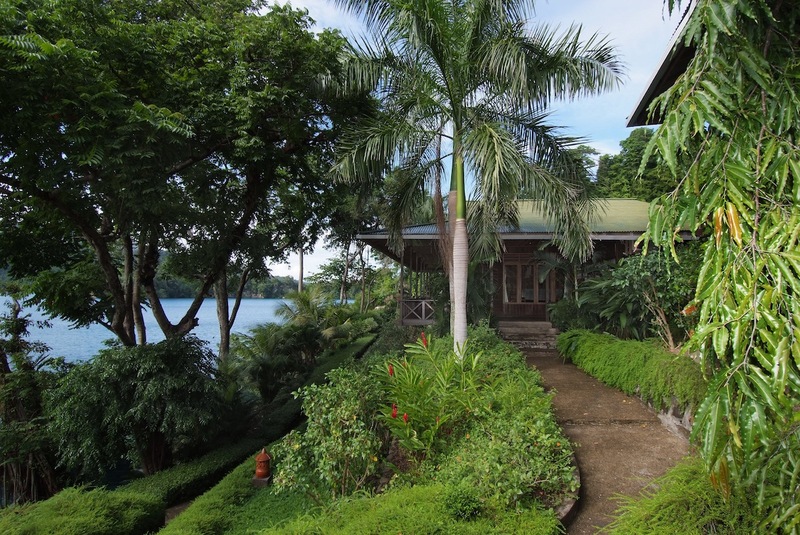 Built from wood in the traditional style of the local Minahasan culture, with long covered wooden verandas, these cottages offer our guests beautiful sea views as well sunset views over Mount Klabat and other volcanoes. 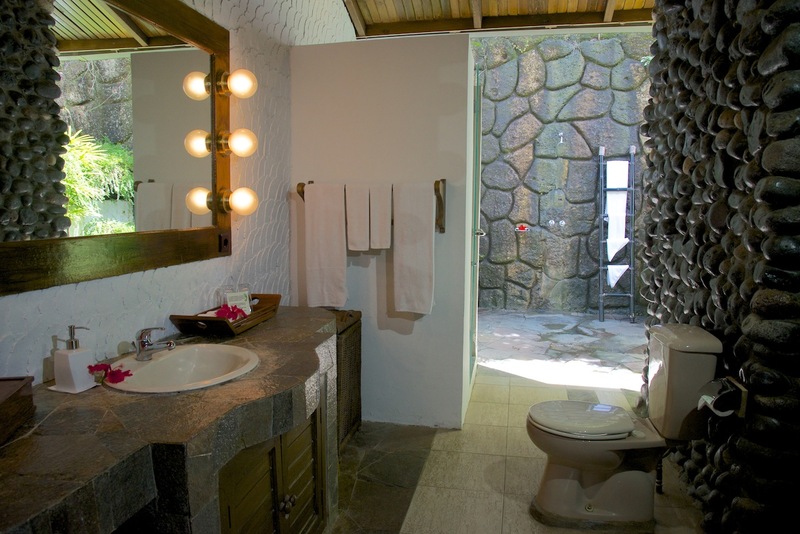 All but one of these cottages include an open bathroom complete with open-air shower as well as a closed shower. Four of these cottages are designed as two separate rooms—living room and bedroom—allowing comfortable accommodation for up to four people. 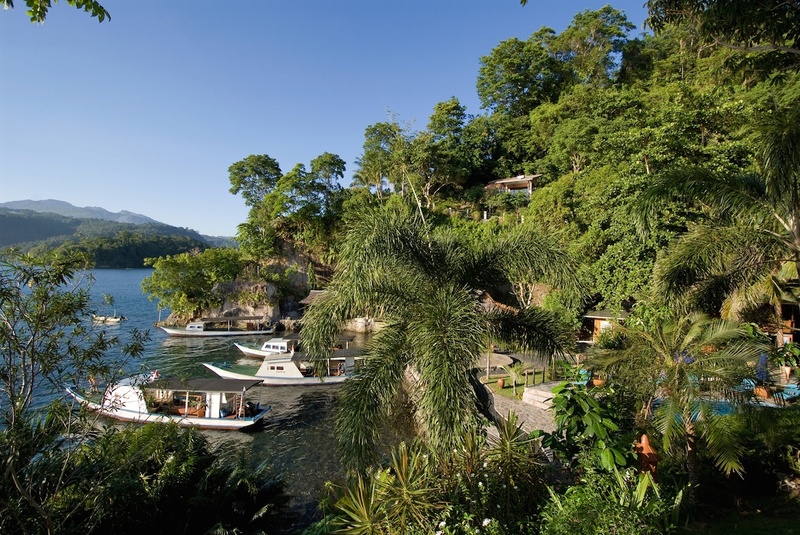 The more modern Cliffside Cottages are located high above the rest of the resort on the opposite side of a small bay which forms the heart of the property. 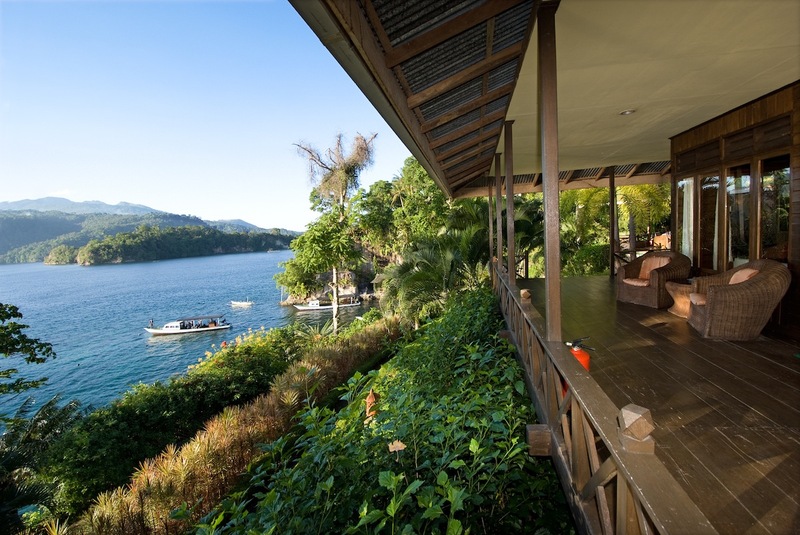 Their location requires walking up steps, but guests staying in these cottages agree that the uninterrupted 180 degree views over Lembeh Strait from each room’s private balcony are simply stunning and worth the walk! 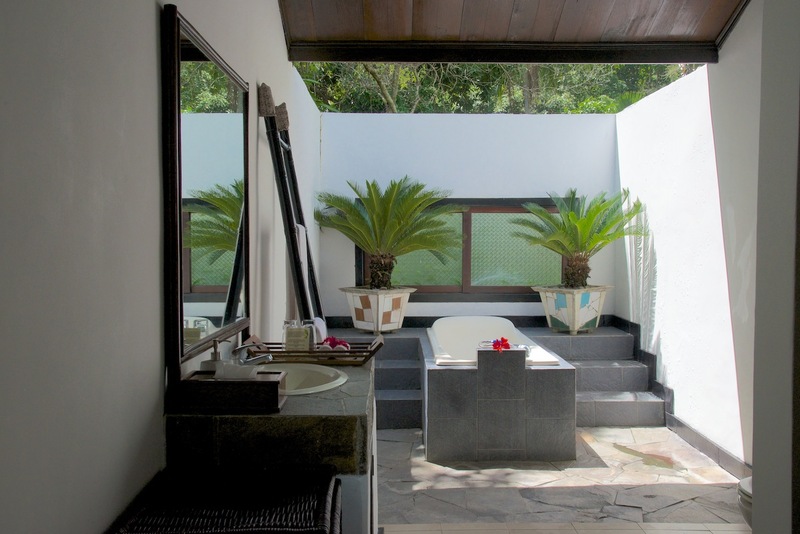 These cottages also include an open-air bathroom with open-air shower. 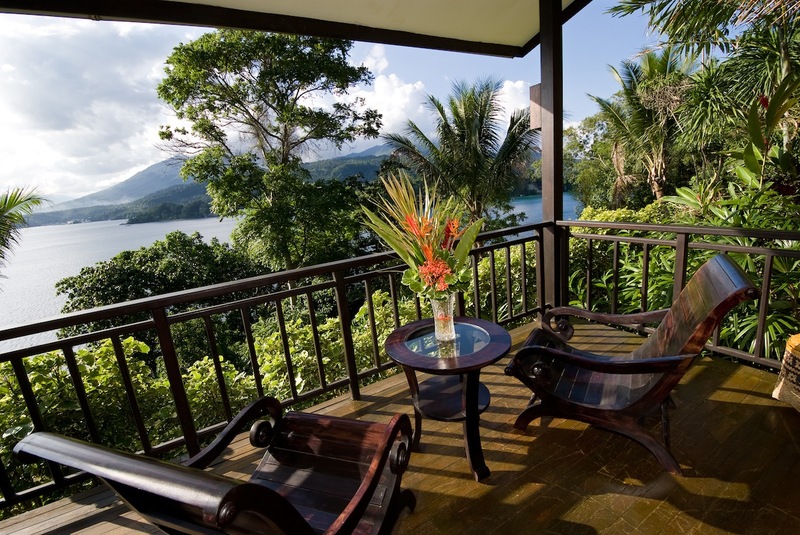 Constructed in 2012, the Garden View Rooms are located close to the Restaurant and Dive Center and are surrounded by and enjoy views of our tropical gardens. These rooms are perfect for single travelers or those persons with a smaller budget. 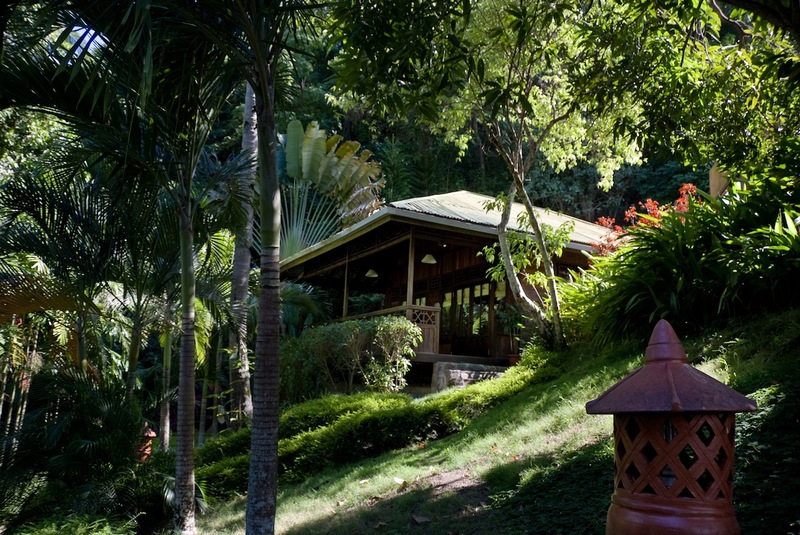 Groomed walkways traverse our well-attended grounds of lush tropical gardens including many local fauna and flora found only in the tropics. The Restaurant & Bar, centrally located with beautiful views on the upper level of the main building, is open from 7 a.m. until 10:30 p.m. for breakfast, lunch and dinner. Breakfast is usually a buffet of fresh tropical fruits & juices; bread, cereals & yogurts; oven-fresh pastries & homemade rolls; and cooked-to-order Western or Indonesian dishes. Lunch is usually also a buffet. Dinner is served a-la-carte, when the chefs prepare a wide selection of international & Indonesian cuisine catering to all tastes. 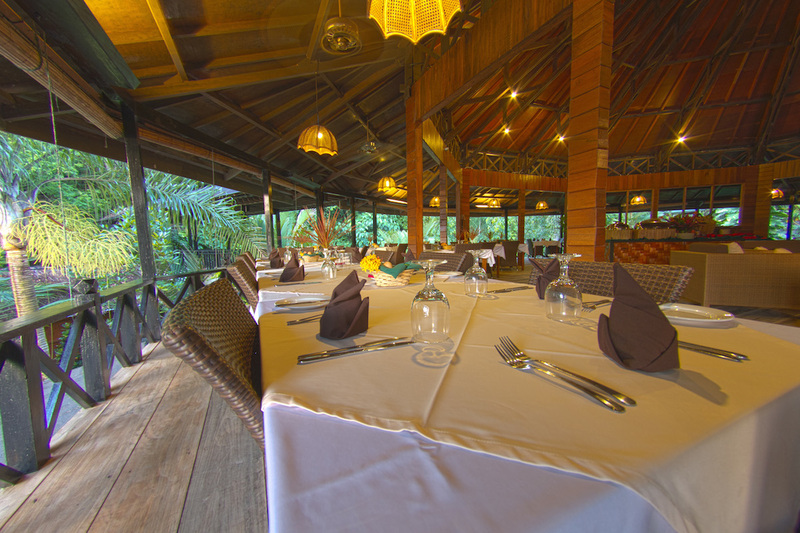 The chefs will happily do their utmost to accommodate any special requests and dietary requirements. Morning & afternoon snacks are also served, and tea & coffee are available throughout the day in the dining area. The resort offers regular Indonesian BBQ nights where guests can enjoy a delicious spread of satays and Indonesian dishes while being serenaded by the local Sunday school choir. 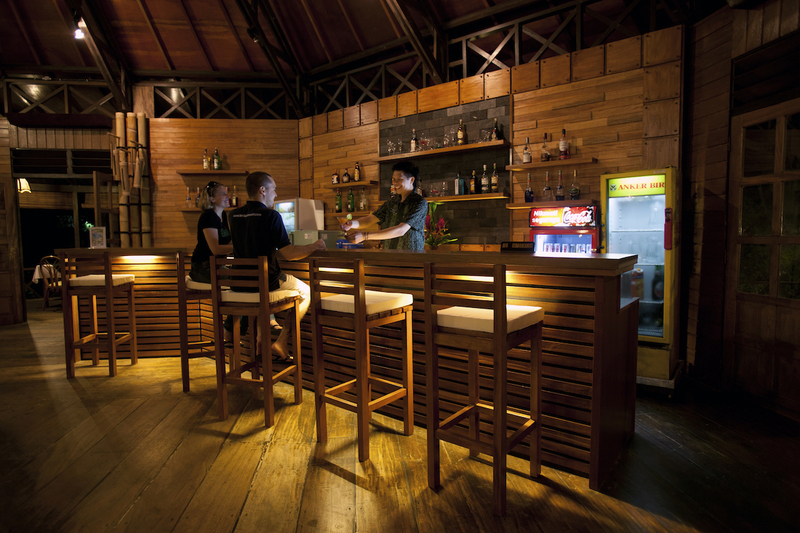 Guests may enjoy a bottle of wine from the selection, sip a refreshing cocktail or simply have a cold local Bintang beer while sitting at the bar. 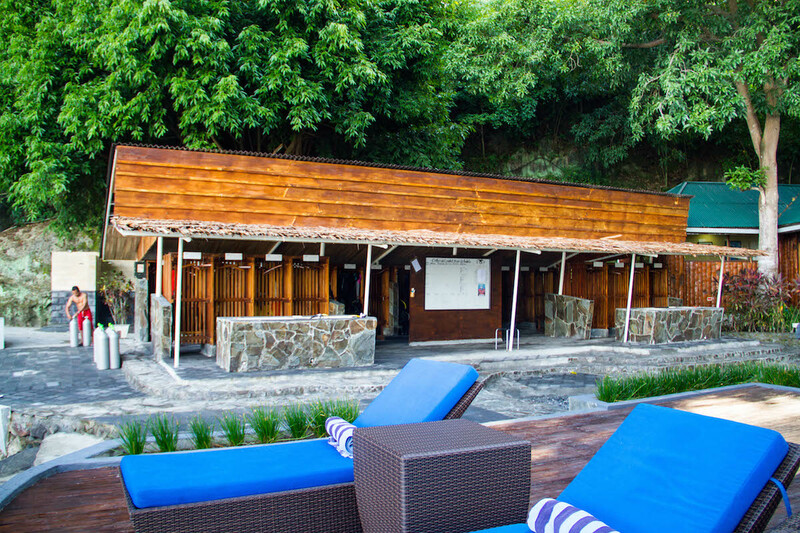 The new poolside bar is one of the best spots to enjoy the view over Lembeh Strait between dives or gather with friends for sunset. You can chat with other guests and share your muck diving experiences, have a drink while watching the sunset, or simply stargaze after dinner. 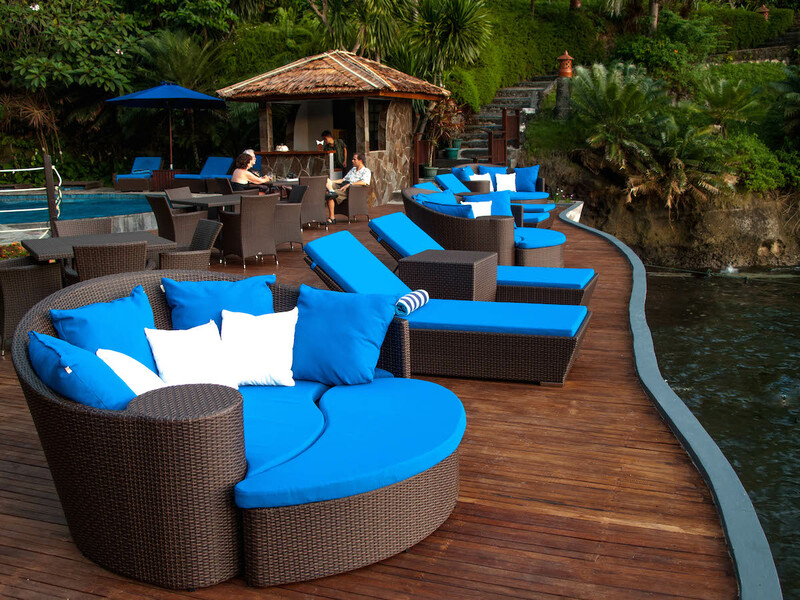 Just meters from the sea, guests can enjoy stunning day and sunset views across the Lembeh Strait by relaxing around or cooling off in the freshwater swimming pool. Sunbeds and umbrellas around the pool ensure guests’ comfort, and towels are provided. Pool side deck and loungers. After a hard days diving, guests can treat themselves to a relaxing massage at our Spa. Open from 2:15pm to 10:30pm, guests can choose and enjoy a range of treatments from a simple 30 minute reflexology session to a 2.5 hour pampering session. The Critters@Lembeh Dive Center provides guests with all their diving equipment and souvenir needs. Open from 7:30 am until after the last dive, the Dive Center is staffed by English, French, German, and Italian speaking staff. There is also a full-time Marine Biologist on staff to help guests identify all their “critter photos”. Rental equipment from Aqualung and Apeks is available, as are LED torches for Night Dives and UV torches for Fluorescence Dive. 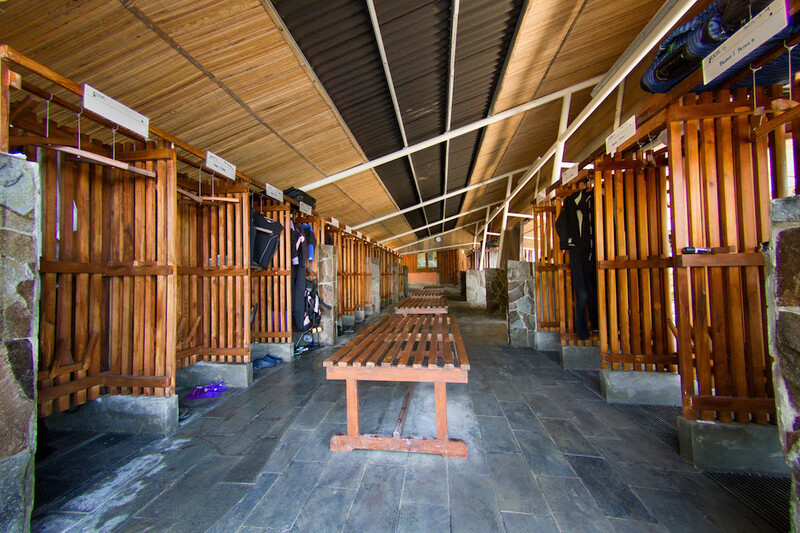 Each guest is provided with a “locker” to store their equipment in the spacious covered Gear Area. The gear is brought to the boat and returned to the locker by the Dive Staff each day. Guests need only concern themselves with their smaller items. The large Gear Area is located only a couple meters from the waterside where the boats are boarded, no long walks down a pier or across the Resort. The area is equipped with plenty of bench space to allow for easy donning and doffing of wetsuits. Hooks are provided at each station for hanging dive towels, provided after the dive. Plenty of kitting up and storage space. Critters@Lembeh provides guests with a spacious “Camera Room”. This large room provides individual workstations with 100/220V voltage-stabilized power sources. Towels are provided, as is a compressed air blower. 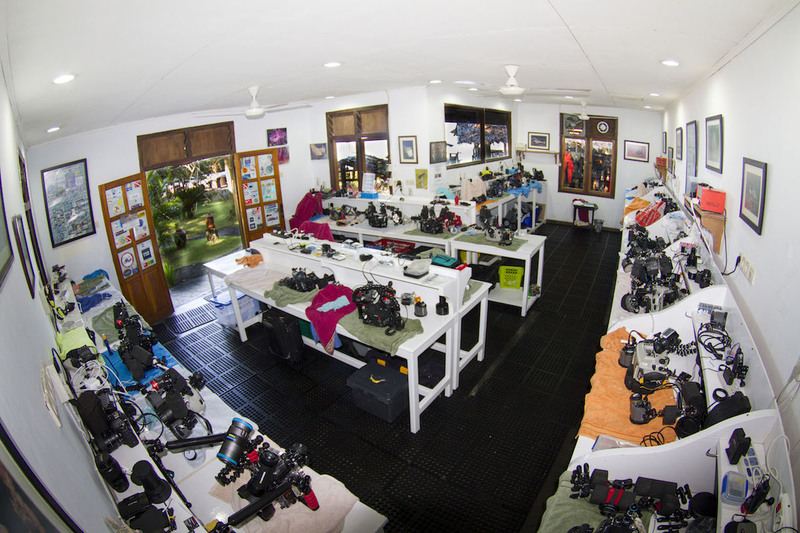 The camera room, located just steps from the dive area, is locked each evening. In addition to the camera room, there are also three large freshwater camera rinse tanks, reserved specifically for cameras. The Diver’s Lounge is located next to the Dive Center and affords Guests a comfortable atmosphere to relax between dives and enjoy a premium coffee from one of our two espresso machines. With a full library of Fish Identification books and Dive Magazines, the Diver’s Lounge is ideal for a quick break or passing an afternoon of off-gassing before your flight. Critters@Lembeh divers are brought to the dive sites in comfort via one of the seven custom twin-engine Dive Boats. Each boat is fully covered with plenty of padded camera & accessory storage. The boats are operated by licensed captains and have all the necessary safety equipment such as oxygen and first aid. Fresh drinking water and fruit is provided on board. Divers’ gear is brought to the boat and assembled by the Dive Staff then, after diving, it is removed, rinsed in freshwater, and stored in the Guest’s gear locker each night. 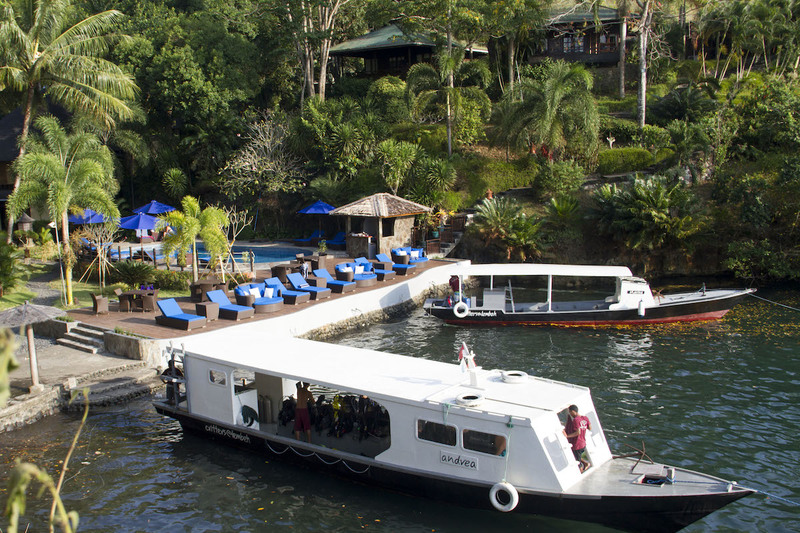 Private boat service is available for those who wish to have longer dive times, or dive at different times. 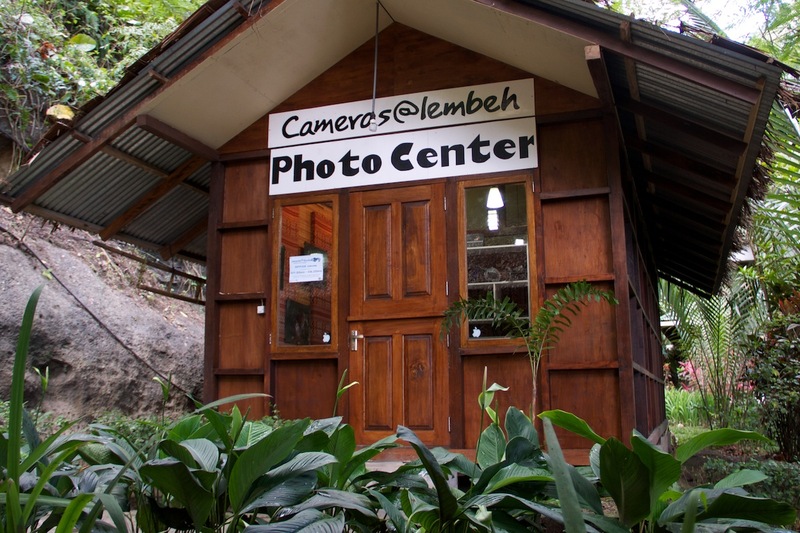 Cameras@Lembeh – The first and only Photo & Video Center in Lembeh Strait – located at Lembeh Resort and operated by Critters@Lembeh. 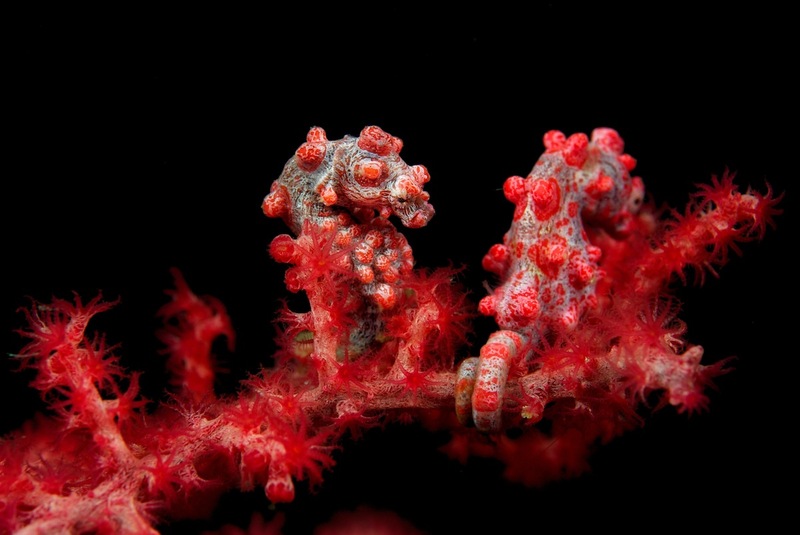 Underwater photography is in their DNA at Lembeh Resort and Critters@Lembeh. All of the guides and dive staff understand not only what you are looking for, but also what it takes to successfully photograph it. Whether you are new to UW imaging or a seasoned pro, Cameras@Lembeh can provide the support to maximize your underwater photography experience at Lembeh Strait. This is the premiere muck diving destination in Indonesia for divers who love not only critter diving but also underwater photography, macro photography and wide angle photography. Instruction offered by Sascha Janson. 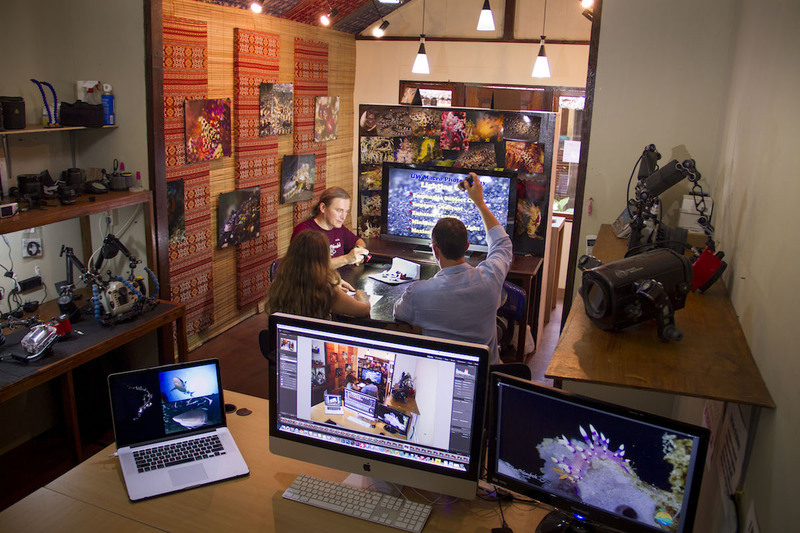 Cameras@Lembeh started in 2010 by renowned Photo Pro Steve Fish and is currently operated by Sascha Janson. An expert in all types of underwater photography, Sascha has years of experience and can provide instruction and equipment repairs in all areas. He is originally from Germany but has worked and lived in Indonesia for nearly 10 years. The Photo Pro offers underwater photo and video courses ranging from entry-level point-and-shoot instruction to advanced DSLR and underwater video production courses. All courses are customized to the students’ abilities and usually taught one-on-one for the most individual attention. 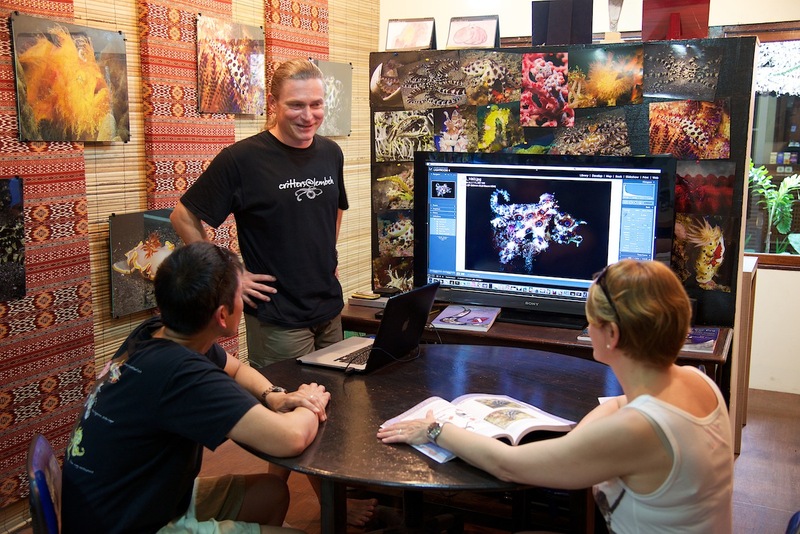 In addition to formal courses, Sascha is available for critiques and photo coaching to help you solve problems with your photo equipment or improve your technique to capture unforgettable images from your macro diving adventures in Lembeh Strait. Wide Range of equipment available for rent. 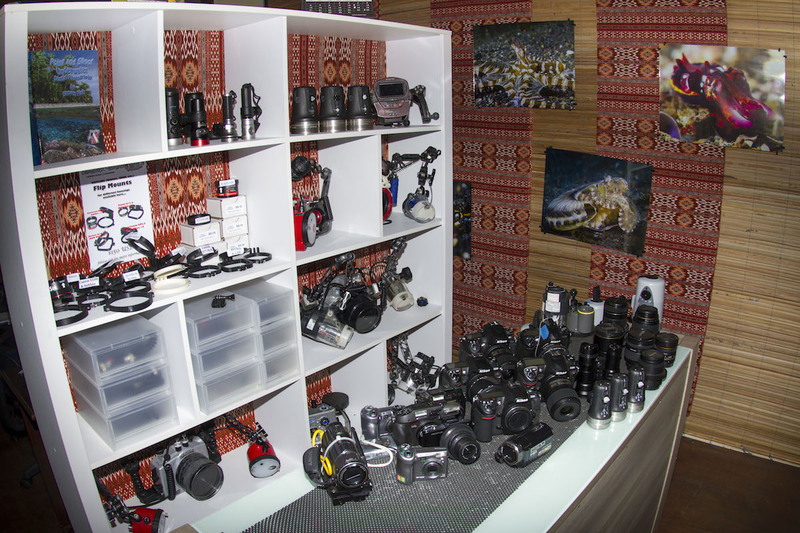 A wide range of underwater photography and video equipment is available for rental at the photo center. Depending on your needs, you can choose between several point-and-shoot, DSLR or video systems. Cameras@Lembeh also has a good selection of “bits and pieces” such as flashes, sync cords, optics and video lights available for rent. If you have a problem with a balky piece of gear, repairs are available onsite. Small parts can even be fabricated to replace broken, lost or forgotten pieces. Their goal is to get you up and running, and keep you shooting great images throughout your stay, diving North Sulawesi. 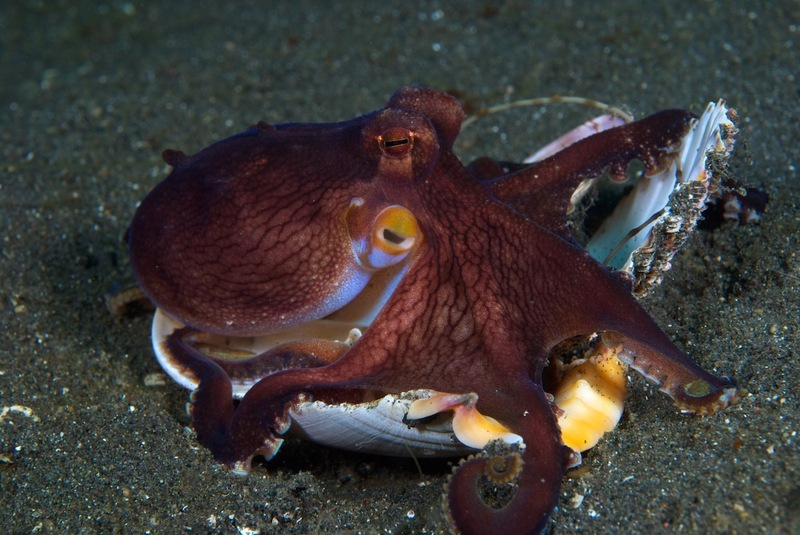 The diving in Lembeh Straits is commonly referred to as “Muck Diving” or “Critter Hunting”. 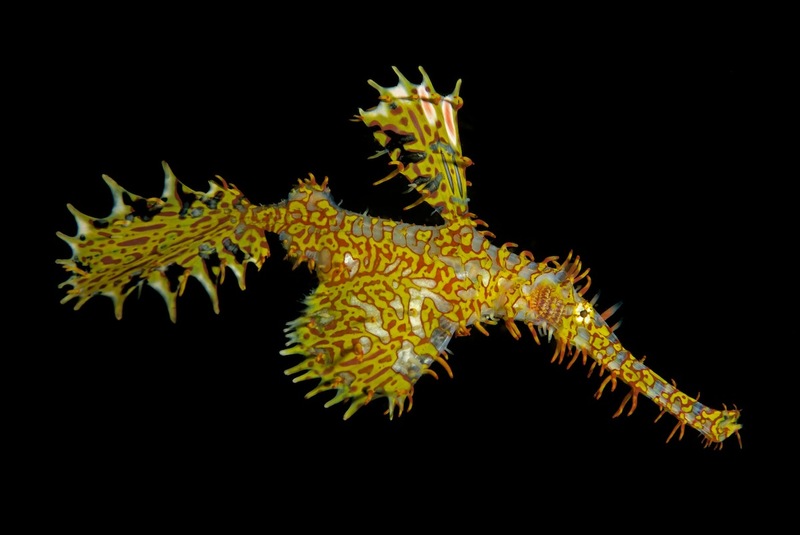 This unique type of diving generally revolves around the search for small unique “critters” that inhabit the black sand slopes of the area. 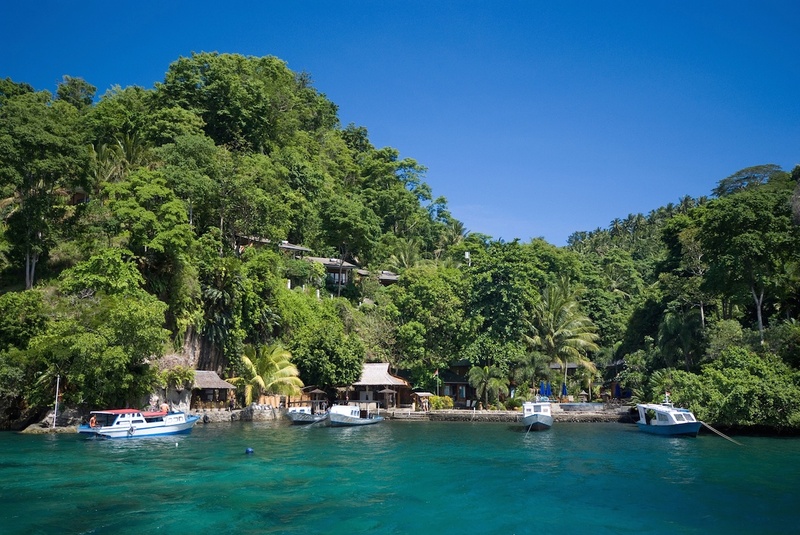 The majority of the diving is done in the calm bays or along the lush coastline of both mainland Sulawesi and Lembeh Island. The body of water that separates the two is known as the Lembeh Strait and is less than 3 kilometers wide at it’s widest point. 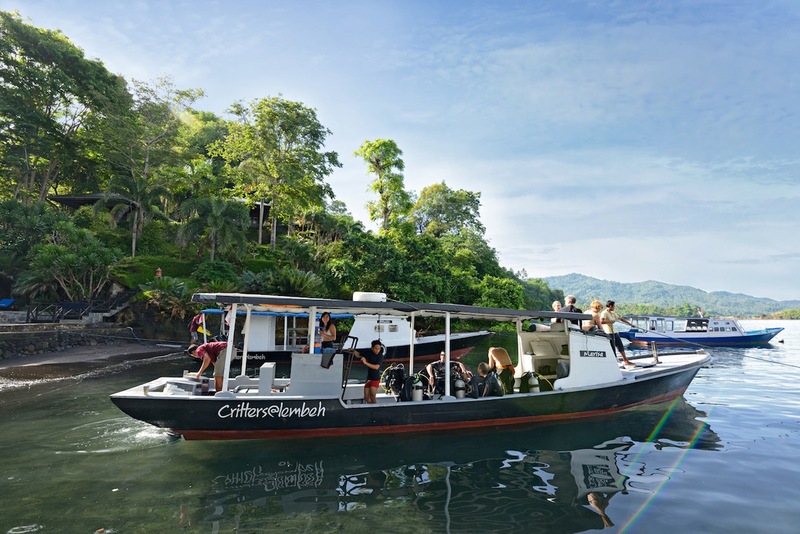 Lembeh Resort is ideally situated at the midpoint of Lembeh Island, giving guests easy access to the majority of Dive Sites in under 15 minutes using the custom Dive Boats. The local Dive Guides have an unmatched knowledge of the area, with a combined 60,000+ dives in Lembeh Strait alone. With Guests divided into small groups with a maximum of 4 guests per Dive Guide, guests are ensured personal service. Upon arrival, each guest submits a “wish-list” of the animals they would like to see during their stay, which the Dive Staff then use to tailor the Dive Site program. Nitrox is available, as are smaller or larger tank sizes. 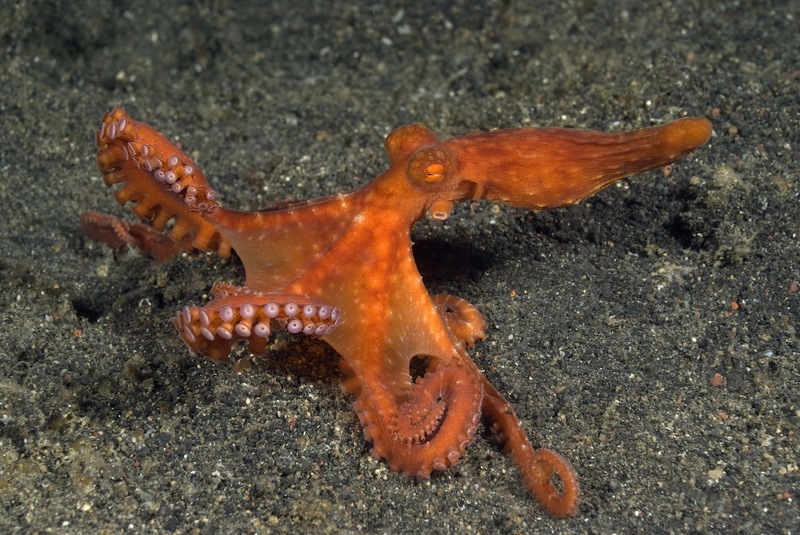 Critters@Lembeh also offers 3-tank Day Trips to Bangka Isalnd. Rich reefs and fish filled blue water awaits divers after a short one hour boat ride north. Lunch is served on board or at a local white sand beach. Bangka diving is a good break for those who wish to do more than muck diving while in Lembeh.